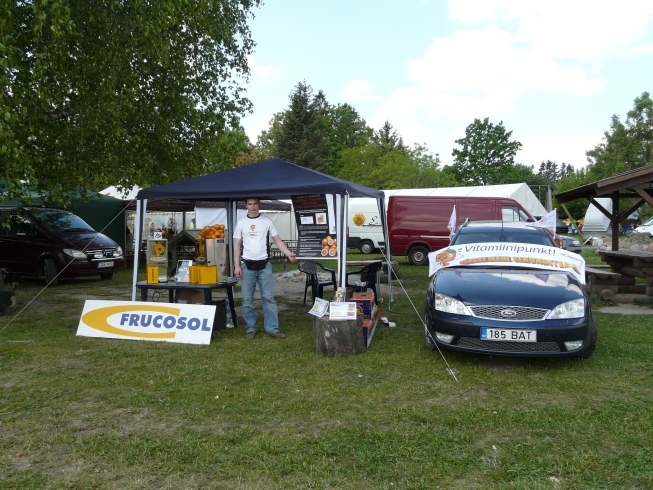 Eltermo participated in a major GrillFest on the 7th June, 2008 where we had our own stall called the Vitamine Station. We introduced our modern orange juicers and sold freshly pressed orange juice to the general public. The whole event was a great success! We managed to sell juice made out of 250kilos of oranges which shows that people really enjoyed our orange juice and that there is a vibrant market out there. Freshly pressed orange juice was popular both among children and elderly! We suggest to our partners to take part in outdoor events and corporate events with Vitamine Station!